Like many manufacturers without a NAND fab or controller technology, Corsair's SSD portfolio has focused a lot on SandForce based SSDs, but Corsair has been exploring other options as well. Corsair has used controllers from SandForce, Marvell, LAMD and even Indilinx if we go all the way back to SATA 3Gbps times. In other words, that's most of the licensable controllers, although two of them are now out of the licensing game as Indilinx is owned by OCZ and SK Hynix acquired LAMD a while back (technically you can still get a license for LAMD's controllers but SK Hynix forces you to use their NAND). With fewer controllers available to license, the times for OEMs like Corsair are getting tougher. The SandForce SSD market is still extremely competitive due to the fact that so many OEMs are using SandForce's controllers and the room for differentiation is more or less non-existent. In order to keep their SSD lineup versatile and competitive, Corsair had to look elsewhere for the controller. The controller manufacturers are not limited to the ones we usually see and there are a handful of options if you're willing to try a not-so-proven solution. As a result Corsair has partnered with Phison for the Force LS. Phison isn't a completely unknown player in the mainstream SSD market as Crucial used their PS3105 controller in their V4 SSD, but that didn't turn out too well. (In short, the V4 was among the slowest SSDs we have ever tested.) MyDigitalSSD has relied heavily on Phison's controllers but again performance isn't particularly compelling. Out of the bigger SSD OEMs, none has given Phison a chance until now. Phison's big draw is obviously pricing. 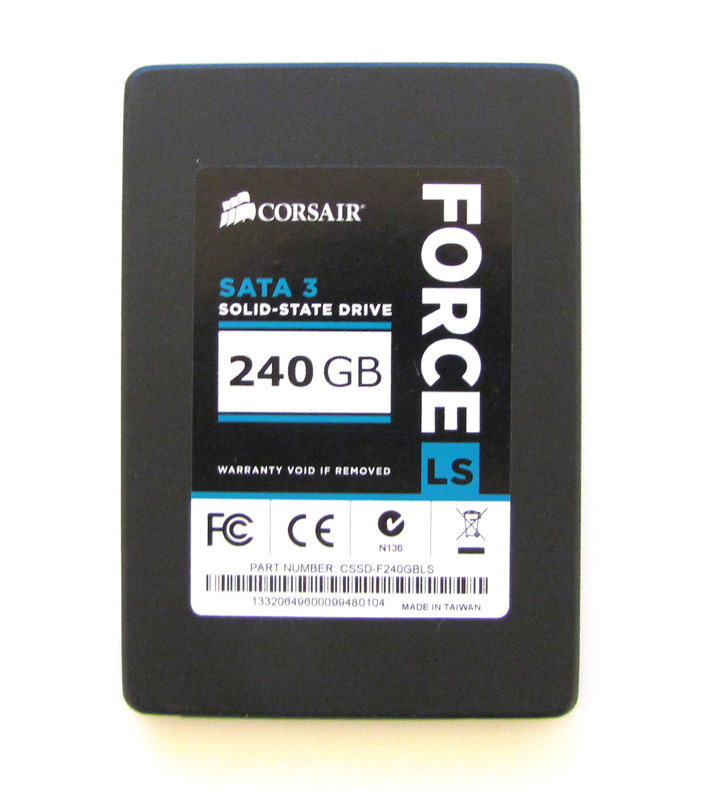 Licensing SandForce is relatively expensive and there's not much room left for profit margin if you want to price your SSD competitively (which is what you need to do if you want to get sales). Marvell is a more cost efficient option but all you get is the silicon with no firmware or software stack (whereas a SandForce license includes all that). If you have a team of engineers capable of providing a competitive firmware, Marvell can be a good choice; if not, Marvell is not your cup of tea. Phison's business model is similar to SandForce, i.e. they deliver you the whole package, making them a viable option for OEMs without a firmware engineering team. Unfortunately I don't have any specific numbers but I believe Phison's solutions are noticeably cheaper than SandForce's. I don't think Phison's silicon itself is very high power, making it cheap to fab and Phison's controller/firmware as a whole is not as complex as SandForce's, which reduces engineering and validations costs. Specification wise the Force LS is a close match to MyDigitalSSD's BP4, although that shouldn't come as a surprise since the two share the same hardware. 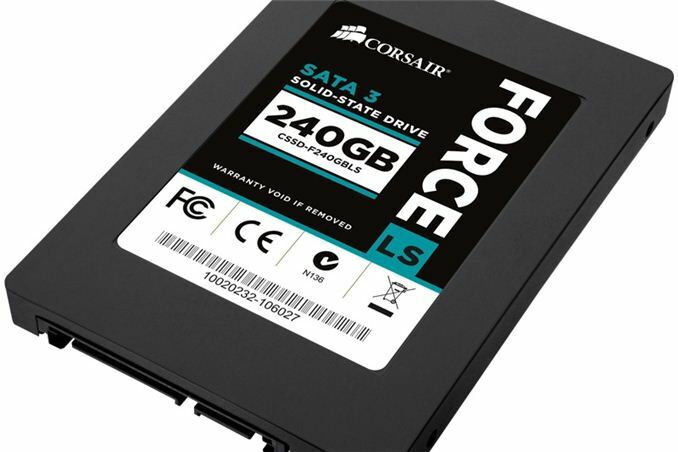 Corsair is offering the Force LS in only three capacities, topping out at 240GB, which is fairly typical for budget SSDs. 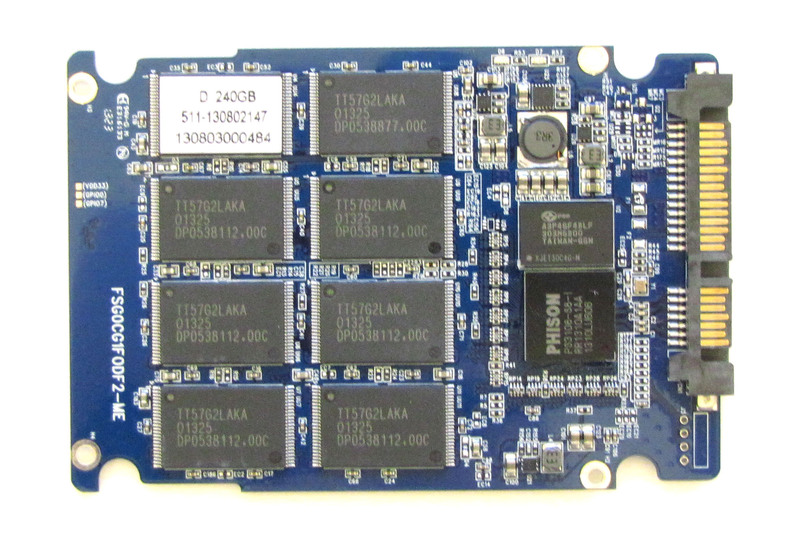 The controller can support larger capacities (MyDigitalSSD offers a 960GB BP4) but the idea behind offering limited capacities is to steer buyers of higher capacity SSDs towards the more expensive models (like Neutron GTX). Interestingly, the Force LS will not be available in the US at all. That's unusual since components are rarely region specific unlike e.g. mobile phones where technical and operator limitations come into play. While this is atypical, I can see Corsair's reasoning behind the decision. The US SSD market is way more populated than for example the European market. Most of the smaller manufacturers don't have supply channels in Europe so the market is really dominated by the few big manufacturers that have presence everywhere. With fewer smaller players in the market, I think Corsair saw a niche for a low cost SSD and decided to concentrate on the market where it has the biggest potential. Internally the Force LS consists of 16 NAND packages (eight per side), which works out to be 16GB per package (i.e. each package has two 8GB dies). There's also 512MB of DRAM from Powerchip Technology (the smaller SKUs have 256MB). The firmware is currently a stock version straight from Phison and my review sample shipped with version 5.8. For comparison, the firmware in MyDigitalSSD's BP4 was 4.3, so I would expect some improvement compared to the BP4. Apple is shipping a 128GB SSD alongside a normal platter drive in 1TB or 2TB configurations. Fusion Drive is just the name for a logical volume manager with block migration. They are not re-branding a hybrid drive like a Momentus XT. It is a custom solution which merges two discrete devices in software. For better or worse. 1TB or 3TB configs. Not 2TB. Sorry. Since you recommend the Samsung EVO over the Crucial M500: aren't yout concerned that the EVO may not last as long as the M500?